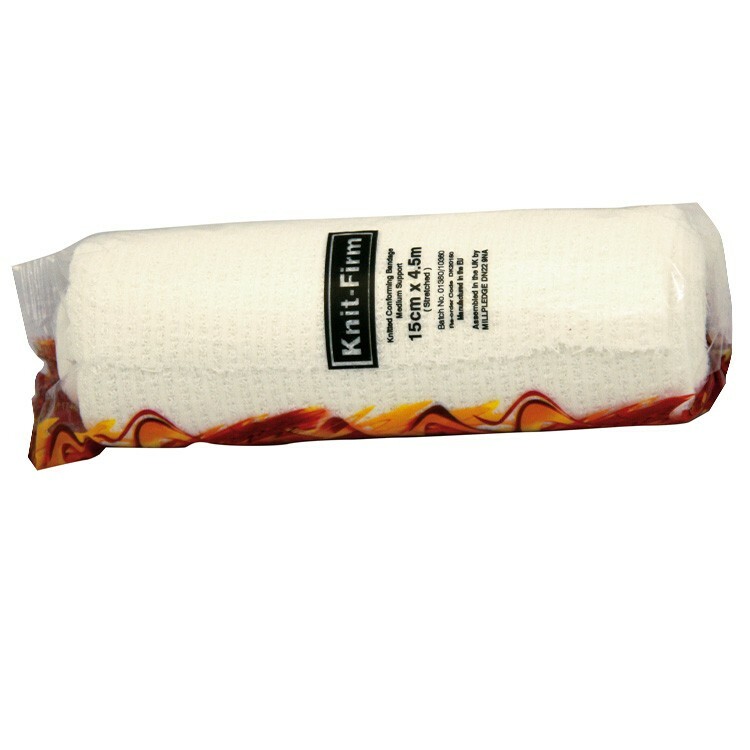 Knitted structure and composition provides warm, moderate support with superior strength and protection. Non-fray, with fast edges, resistant to tearing and "stringing”. Reduces risks of "catching” or affecting circulation. Non-slip, easily applied and conforming to any shape or holding position. Good ventilation and elasticity for moderate support and dressing retention. 12.5% longer at 4.5m stretched.